Occurrence and distribution of pathogens - IZW Leibniz Institute for Zoo and Wildlife Research in the Forschungsverbund Berlin e. V.
The occurrence of infectious disease agents in wildlife populations underlies endogenous or external factors, as for example animal movement patterns or seasonal variations. Transmission events between animals within wildlife populations can be evaluated by investigating the incidence of pathogens and disease patterns of these populations. Here the exchange of infectious agents with zoonotic potential is of particular interest. Epidemiology describes characteristics and distribution of diseases and their causative agents. Our investigations wildlife animals not only concern obvious diseases but also subclinical infections and the occurrence of pathogenic microorganisms. This is crucial in order to understand how these diseases are carried on. We have several projects dealing with the epidemiology of pathogens in various animal species. One example is the assessment of the health status of European brown hares. In some European countries the population of European brown hares (Lepus europaeus) has been declining since the 1950s. To elucidate whether an increase in the mortality could be responsible, the health status and occurrence of selected infectious agents (e.g. Toxoplasma and European brown hare syndrome Virus (EBHSV)) were investigated in several hare populations across Germany in cooperation with the Institute of Wildlife Research, Hannover and with the Zoological Institute of the Karlsruhe Institute of Technology. An outbreak of EBHSV infection within a captive population offered the opportunity to investigate this disease right from the beginning. 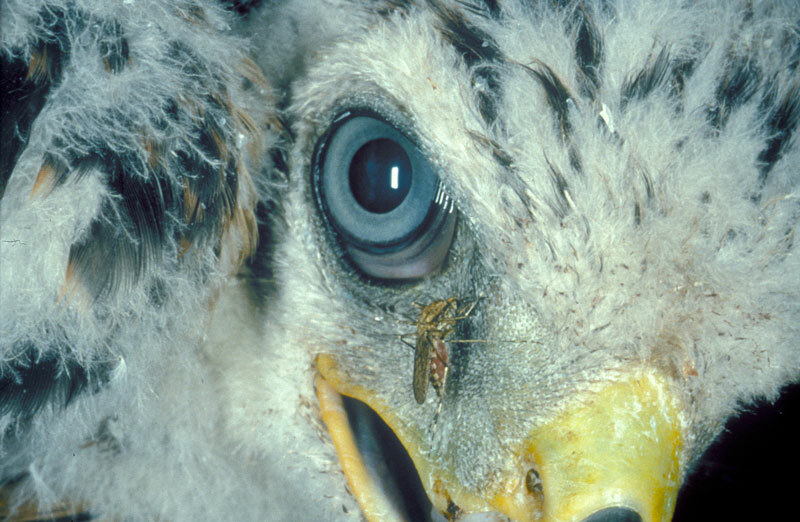 Also in the class of the birds we are actively screening for pathogens and parasites, especially in birds of prey. Besides the epidemiological issues we thereby collect experiences in a field only few scientists are working in. So we are able to improve and modernise the known diagnostic methods. Genetic analyses using the cytochrome b gene of the mitochondrial DNA of avian blood parasites have increased not only the knowledge on the number of strains but also on the distribution and ecology of these endoparasites. 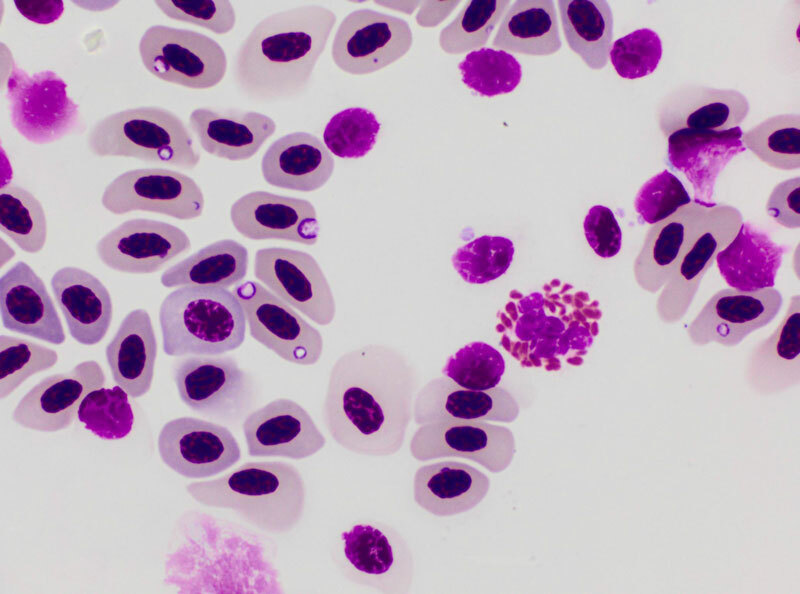 In a recent study on blood samples from 12 bird of prey and owl species from Mongolia we found a prevalence of 18% when using classical light microscopy versus a prevalence of 26% using PCR methods to detect Haemosporidian blood parasites. 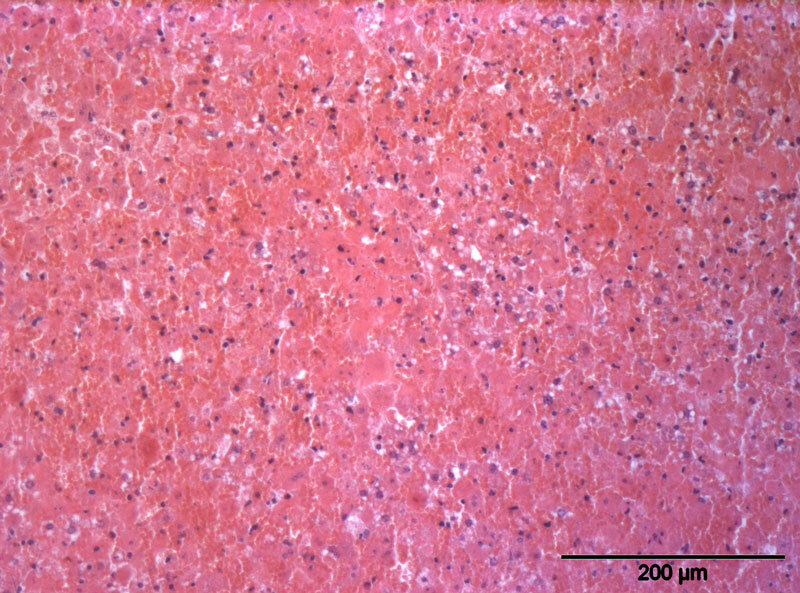 These differences are explained by young infections in which the small gametocytes are easily overlooked microscopically or are not visible at all. The genetic analysis was complicated by the RNA/DNA stabilization reagent used in the field to preserve the DNA of the blood parasites. For future studies in remote areas without access to electricity we recommend the use of set buffer or DNA blood cards. Another approach extending the epidemiological scale is our work on retroviruses and ancient DNA. Little is known about wildlife retroviruses, their distribution and diversity. We investigate the evolutionary history, trafficking and immunological consequences of retroviral infection in different wildlife species. Retroviruses are unique in requiring integration into the genome as a part of their life cycle. When this occurs in the germline, the virus becomes a Mendelian trait of its host. We are investigating the process by which such endogenization occurs using ancient DNA and next generation sequencing methods from museum collections with a focus on koalas. We are also examining the diversity, distribution and effects on the immune system of wild rodent retroviruses part, one of the most diverse mammalian groups with a long history of retroviral study in laboratory mice but with poor characterization within wild rodents. In terms of the One Health concept we have to consider our wildlife as part of many different pathogen pathways. Resistant bacteria are an increasing threat for humans as well as for companion animals (pets) and livestock. Because there is a lack of efficacious new drugs it is important to know whether wildlife is involved in their spread and dispersal. For this purpose, samples from several wildlife species in both rural and urban settings are assessed for specific antimicrobial resistances such as the production of ESBLs. Isolated bacterial strains are undergoing molecular characterisation as well as phylogenetic analyses. The results can be directly compared with those from human medicine or from other animals to reconstruct the origin and relatedness of isolates and to shed light on transmission paths. A special focus is on the comparative analyses of resistant bacteria from urban and rural wildlife. A major research effort to study the human microbiome has revealed that different environments within the human body have specific microbial community structure. Perturbations of this structure can lead to disease. The community structure is both species and individual specific with bacterial communities reflecting the phylogeny of the few wild species examined. Comparative analysis of microbiomes from captive and free ranging wildlife will determine the normal bacterial flora of different understudies species and help to determine how perturbations, e.g. zoo diet versus natural diet, may influence the microbiomes of animals with consequences for their health. From many wildlife species it is well known that they are possible hosts of zoonotic microorganisms. In order to unravel the ways of transmission of these pathogens both sides, the zooanthophonotic as well as the anthrophozoonotic one have to be in taken into consideration. In the daily routine diagnostics as well as in various research projects, samples retrieved from different wild animals are examined for zoonotic agents. Here for example a special focus is placed on bat and carnivore species. 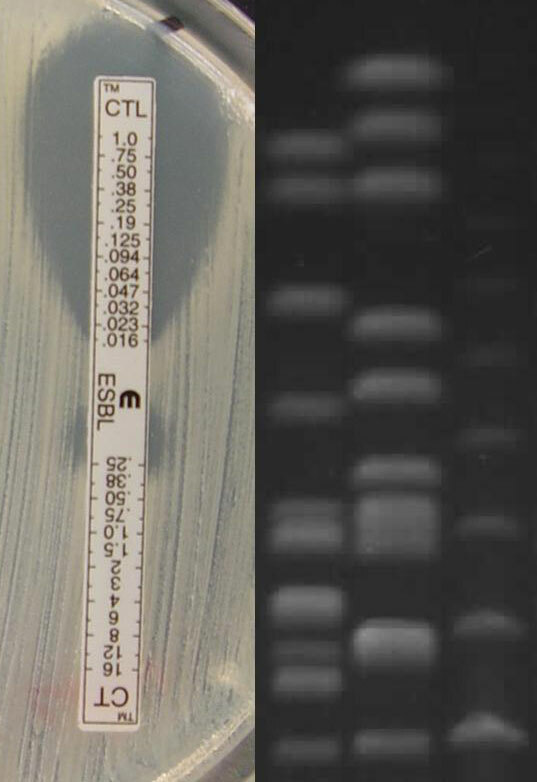 Moreover, characterisation of bacteria isolated from wild animals carrying antimicrobial resistances is an important part in the investigation of resistance pathways. By characterising the virulence of such resistant bacteria, most likely acquired from human or pet animal origin, their anthropozoonotic potential can be assessed. In general, comparative analyses of samples from urban and rural areas can reveal the possible risk for wild animals to contract diseases by living in close proximity to human settlements. Tsangaras K, Greenwood AD (2012) Museums and disease: using tissue archive and museum samples to study pathogens. Ann Anat 194: 58-73. Drews B, Szentiks CA, Roellig K, Fickel J, Schroeder K, Duff JP, Lavazza A, Hildebrandt TB, Goeritz F (2011) Epidemiology, control and management of an EBHS outbreak in captive hares. Vet Microbiol 154: 37-48. Mühldorfer K, Schwarz S, Fickel J, Wibbelt G, Speck S (2011) Genetic diversity of Pasteurella species isolated from European vespertilionid bats. Vet Microbiol 149: 163-171. Guenther S, Grobbel M, Beutlich J, Guerra B, Ulrich RG, Wieler LH, Ewers C (2010) Detection of pandemic B2-O25-ST131 Escherichia coli harbouring the CTX-M-9 extended-spectrum beta-lactamase type in a feral urban brown rat (Rattus norvegicus). J Antimicrob Chemother 65: 582-584. Mühldorfer K, Wibbelt G, Haensel J, Riehm J, Speck S (2010) Yersinia species isolated from bats, Germany. Emerg Infec Dis 16: 578–580. Calvignac S, Terme JM, Hensley SM, Jalinot P, Greenwood AD, Hänni C (2008) Ancient DNA identification of early 20th century simian T-cell leukemia virus type 1. Mol Biol Evol 25: 1093-1098. Greenwood AD, Lee F, Capelli C, DeSalle R, Tikhonov A, Marx PA, MacPhee RD (2001) Evolution of endogenous retrovirus-like elements of the woolly mammoth (Mammuthus primigenius) and its relatives. Mol Biol Evol 18: 840-847.